I love corn season! Growing up in Sacramento, my family and I would venture to Sloughhouse for the most amazing corn during the summer months. If you’re ever in the area between June and October, then make sure to visit the Davis Ranch for their famous Sloughhouse corn! 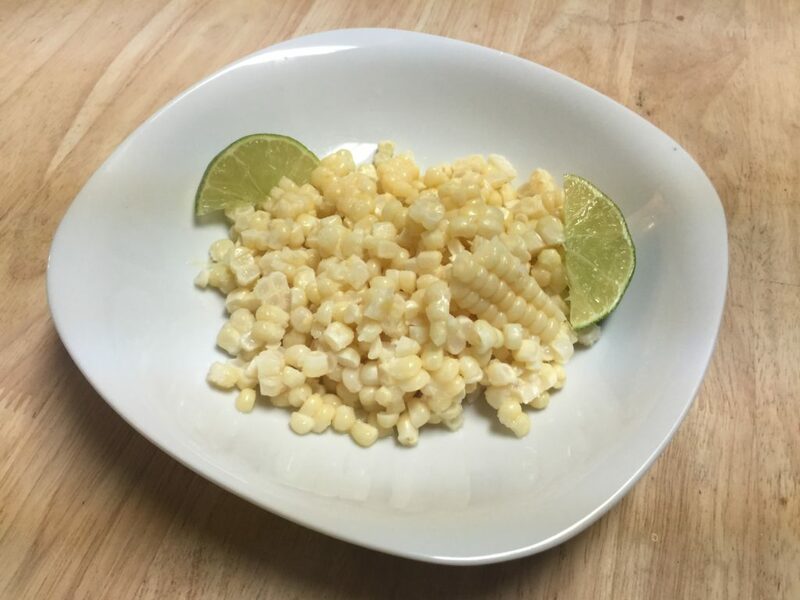 Fresh corn is one of my favorites, partially because it reminds me of fun times with the fam while I was a kid, but also because it’s just so sweet and flavorful! I’m not a fan of serving it on the cob, like my dad used to do. I much prefer to remove the kernels and serve a pile of fresh corn in a bowl. 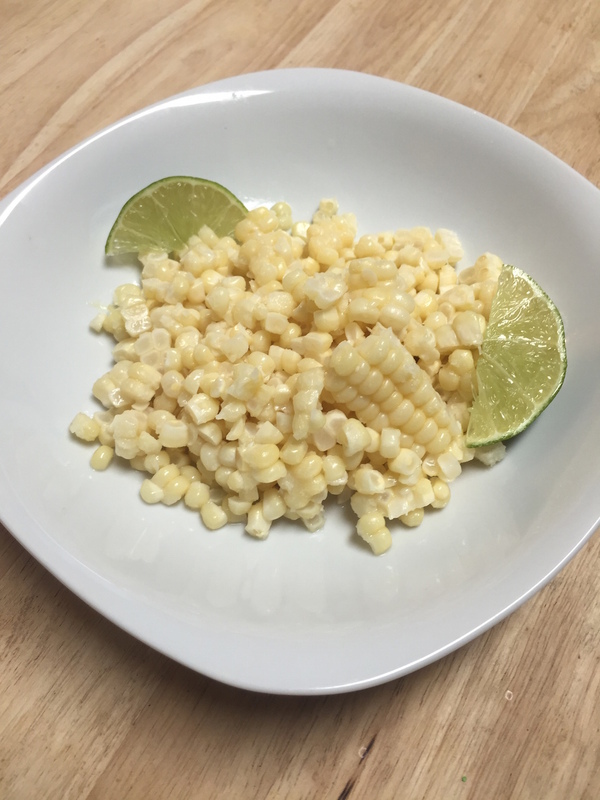 Dad used to salt and pepper the corn, but I like mine with lime. 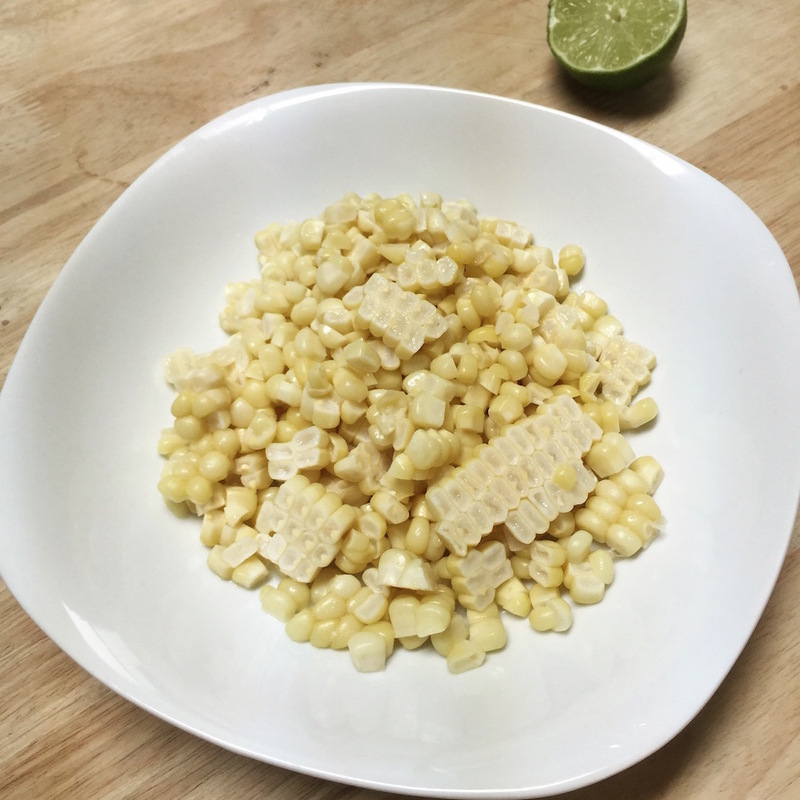 The tart flavor really balances out the sweetness of the corn, without making it savory. I also like to drizzle my corn with just a little melter butter, and serve it cooled, because I’m a rebel like that! 2. Drop the corn in for 3 minutes, just to remove some of the starchiness. 3. 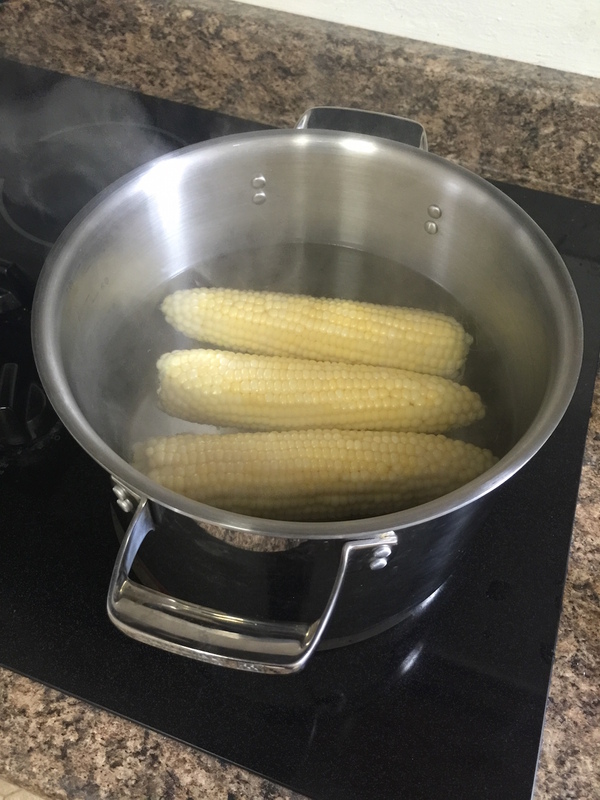 Remove the corn from the hot water and submerge in an ice bath for four or five minutes. 4. 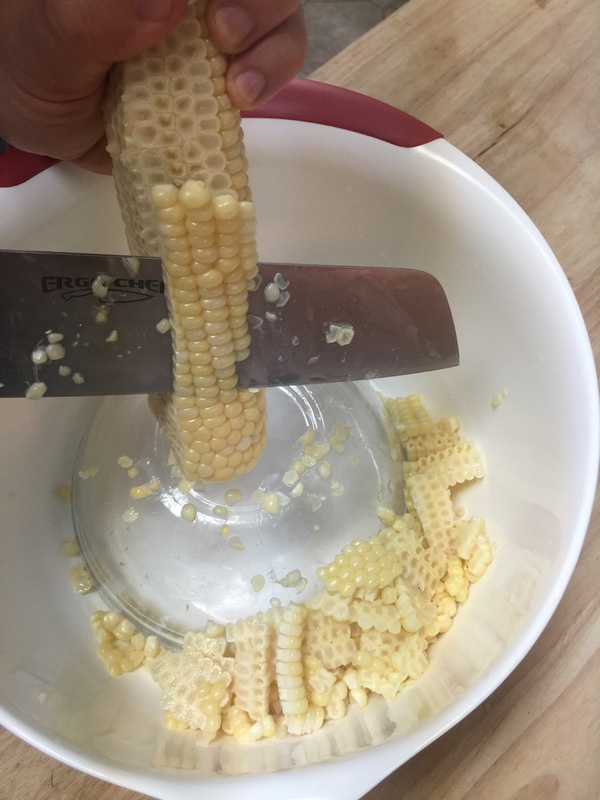 To remove the kernels, without making a mess, invert a small bowl into a larger one then cut down the sides of the cob. The large bowl will collect all of the corn so that it doesn’t get all over your counter. 5. 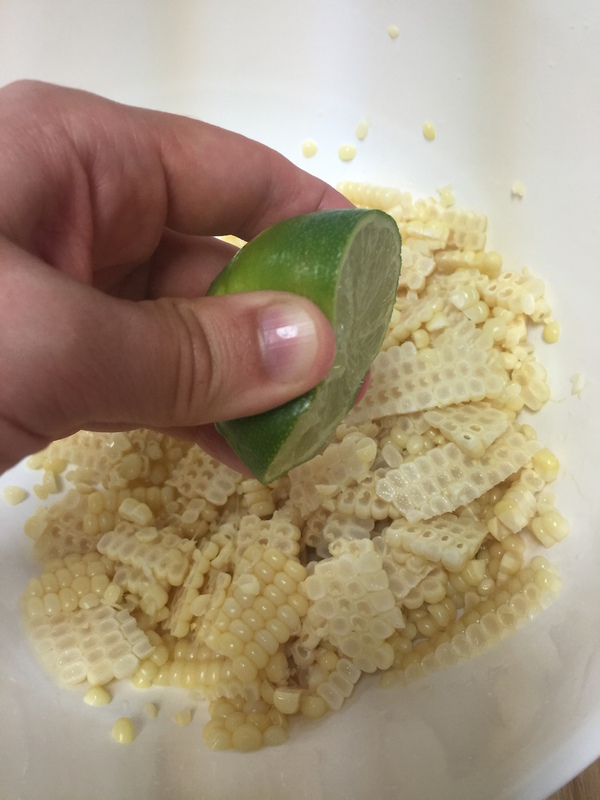 Squeeze the fresh juice of a lime over the corn. 6. 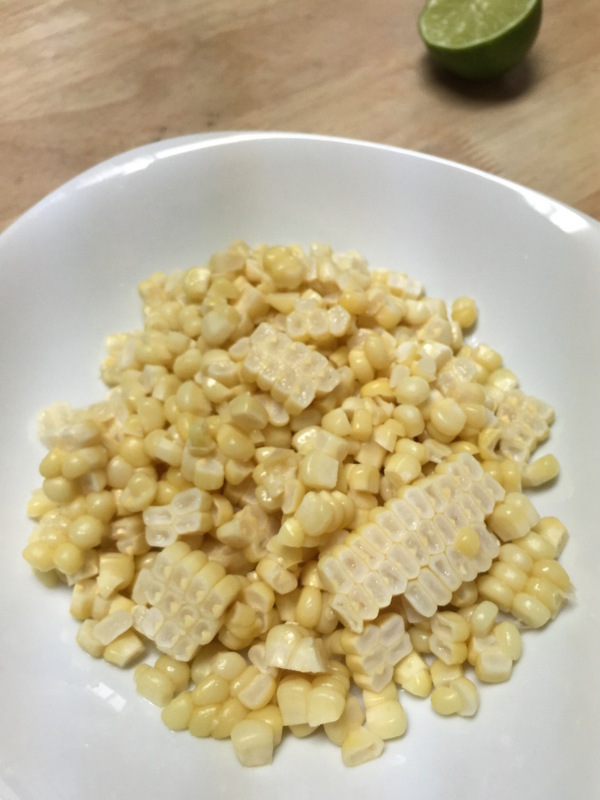 Melt your butter, then drizzle it over the corn, toss and serve!